Small dog breeds are a tiny bundle of fur-ball charm. So go ahead and tip your hat to the small little doggo family who remains popular year after year. They’re a favorite among families, they’ll warm the laps of aging senior citizens, and they are sure to keep the kiddos laughing. While there is lots of variety to be celebrated among small dog breeds, two things remain in common. Small dog breeds weigh less than 22 pounds and seldom stand taller than 16 inches at the shoulder. It’s no surprise that today’s small dog family includes the world’s smallest dogs. While members of this small canine pack are tiny through and through, what they lack in size they sport in personality. These little charms are not afraid to toss around big attitudes and flaunt a little sass to get what they want. Like their larger canine cousins, the variety among small dog breeds is vast. From contrasting personalities to varying coat types and differing activity levels, small dogs refuse to squeeze into one tiny box of expectations. In personality alone, you’ll discover little yappers who are tough to the core and not about to settle on a lap. Other small breeds love the country and a good run through the wild outdoors. Still other compact doggos are content to simply stick by your side and travel about in a posh little doggy purse. From meek and gentle to sassy and stubborn, the options are many when browsing small dog breed personalities. In addition, small dog breeds require only little space and can easily settle into small apartment living. They’ll stay small for a lifetime and many small breeds are great for families with little children. Just be certain your tiny fur-ball isn’t too delicate for your growing and boisterous children. Small dogs are also a dream to travel alongside. Their tiny size renders them easily portable, plus they’ll be quick to turn heads when carried by your side in a classy little dog carrier. In contrast to larger dog breeds, small dogs typically enjoy a longer lifespan and require fewer dollars spent. Their tiny little bodies consume less food and boarding costs are typically lower. Plus, because their small little bodies require less medication when visiting the vet, your vet bills will also be lower in cost. Every dog breed is different and every puppy unique. For this reason, whenever possible spend time together with your puppy before signing those ownership papers. Research the breed you are considering and check if you are a good match for your puppies developing personality. What are your expectations for small dog breeds? When talking small little doggos, expect a plethora of doggy options. If you’re looking for a low maintenance buddy, you might consider a Chihuahua, Beagle, Boston Terrier or Pug. Or if you’re ready to lavish lots of grooming time on a small doggy companion, perhaps a Toy Poodle, Bichon Frise, or Shih Tzu is a better choice. In addition to varying grooming needs, are you hoping for an alert little watchdog or a docile lap companion? Not to mention, how much exercise will your little yapper require? How much space is required for your small dog to thrive? Matching their small size, small dog breeds can thrive in tiny little spaces. They are an ideal match for city living and can settle easily into small apartment homes. What are training requirements for small dog breeds? Counteracting their minimal size, small dog breeds can sport towering attitudes. Begin training early with your tiny little pup and be intentional to socialize your growing puppy often to family, friends and other small pets. Be certain also to establish who pack leader is and make your puppy rules clear right from day one. How much exercise is required for small dog breeds? While their small little bodies may not be up for a long and vigorous run, small dogs do require regular exercise. Exercise demands vary among breeds so be alert to what your canine needs. Be sure plenty of water is available during exercise sessions and monitor your dog closely for any signs of fatigue. Which small dog breed temperament best fits your personality? Whether you’re searching for sweet, rambunctious, yappy or loyal, you’ll likely find your match in the small dog family. In addition to considering personality, be sure to also think about color, coat type and doggy shape when searching for your own little Fido. Following is a concise list of today’s popular small dog breeds. Dachshund: Jostling around on short stubby legs and sporting a long, round body, these buds are easy to spot. The Dachshund is a great watchdog who lives wary of strangers. Quick to attach with family, these gems love a dose of adventure. Plus, they’ll seldom turn down a good chase through the wild. Bichon Frise: A puffy white coat is signature for the winsome Bichon Frise. In addition, these little canines are great with children and other animals, they’re easy to train, and they love some real action. Shih Tzu: Friendly meets confidence in the little Shih Tzu. These buddies shed very little although grooming is a must. The Shih Tzu is a fabulous lap dog and carries a stunning coat of long, silky hair. Plus, getting along with children and other pets is seldom a problem. Yorkshire Terrier: Carrying silky long hair in colors of blue and tan, the Yorkshire Terrier is a terrific watchdog. At heart, the Yorkie is an affectionate little buddy carrying lots of personality. Poodle: It’s no joke these beauts are a hunk of intelligence. Never mind their small size. These manicured pals will be quick to outsmart a novice dog owner. In addition, they carry a coat comprised of tight curls and their lifespan is longer than most other canines. Chihuahua: Small size meets big attitude in the sassy little Chihuahua. Thriving on action, the Chihuahua is a loyal companion who will bark at unfamiliar dogs and nip at children. Chihuahuas wear either smooth or long hair and with training, can mature into humorous little doggy friends. 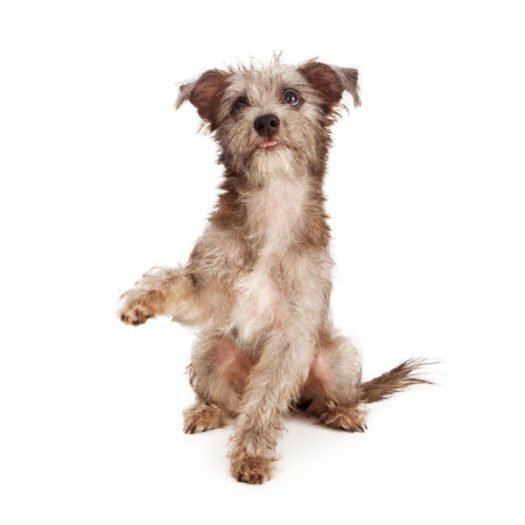 Miniature Schnauzer: Greeting you with a handsomely bearded haircut is the loyal Miniature Schnauzer. Friendly and tough, this Terrier is a superb companion dog. Below is a list of small dog breeds. This small dog breed list is perfect for scanning through all small dog breeds to find the perfect puppy or if you just need to copy and paste a list of small dog breeds. In contrast to their larger dog counterparts, small dog breeds are known to enjoy longer lives. Be sure to research potential problems common for your breed. Learn to detect warning signs when something may be amiss. 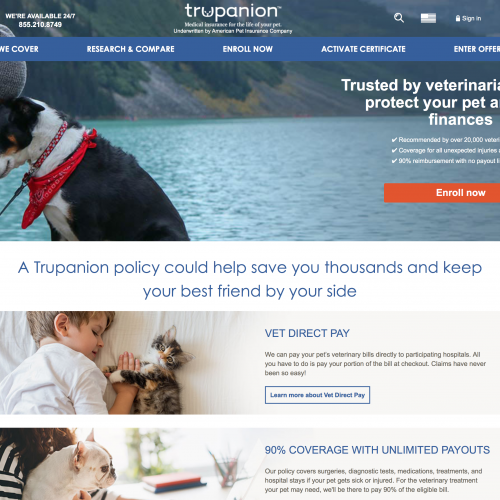 Also, consider benefiting from a reputable puppy insurance such as Trupanion to protect yourself against emergency vet calls. When talking food, quality dog food makes a difference for your maturing little canine. 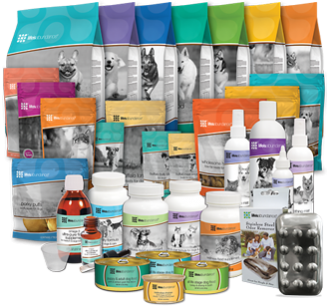 Speak with a vet to learn proper quantities and appropriate supplements for your chosen breed. Inquire about specific breed needs, and be certain you’re including these essential vitamins. In addition, small dogs are known to have high metabolisms which means food should be frequent for these little buddies. Just because their coat is smaller than that of large dogs, grooming needs have not decreased. While some small breeds require very little grooming, other elite breeds are considered high maintenance and demand lots of grooming time. View grooming as an opportunity for you to continue bonding with your little Fido, and be sure to keep a regular grooming schedule. Trim those tiny nails with a size appropriate nail clipper, keep the ears clean and dry, and brush the coat to remove unwanted mats and tangles. When cleaning the pearly whites, don’t even think of using your toothbrush. Grab a small-dog tooth brush and always use a vet approved toothpaste. Toss in an occasional doggy bath and enjoy a happy and clean little dog. Without proper training, small dogs can soon match their larger canine cousins when it comes to misbehavior. Whether it is aggression, separation anxiety, disregard for authority, or another evil entirely, small dog breeds are fully capable of displaying behaviors forbidden among larger dogs. Regardless how cute their little size renders them, never let a small dog behave in ways you wouldn’t also permit among larger breeds. From nipping at heals to jumping on people, there’s no need to overlook these behaviors simply because a dog is small. Training presents a fantastic opportunity for you to bond with your little pal. Begin training the first day your puppy comes home. Keep training sessions short, be positive, and offer lots of praise. Intersperse training with rewards and toss in a few tricks. Initially, get down on your puppies level and avoid giving instructions while towering over your small little pup. Later you’ll be able to return to a standing position to give proper puppy instructions. Regardless the breed, always be consistent, firm and kind. In addition, socialize your little buddy often to new sights, unfamiliar sounds, and adventurous smells. Invite friends over, introduce your little puppy to the neighbors, and visit outdoor shopping centers to keep the socializing fun and exciting. Your puppy will be grateful. Small dog breeds are exactly that: small. As a result, be sure your dog supplies are size appropriate. Grab a few small dog toys. Get stocked with these supplies before your Fido comes home. Check that your dog collar is small enough. Secure breed appropriate food, and don’t let the crate get to huge. The options for small puppies for sale are many. Research which breed will best match your lifestyle. Will you have time for regular exercise? Do you have the means to supply healthy dog food and proper doggy accessories? By thinking ahead now, you’ll benefit later. Plus, you’ll have no regrets as you welcome your new little puppy into a well prepared and loving home.